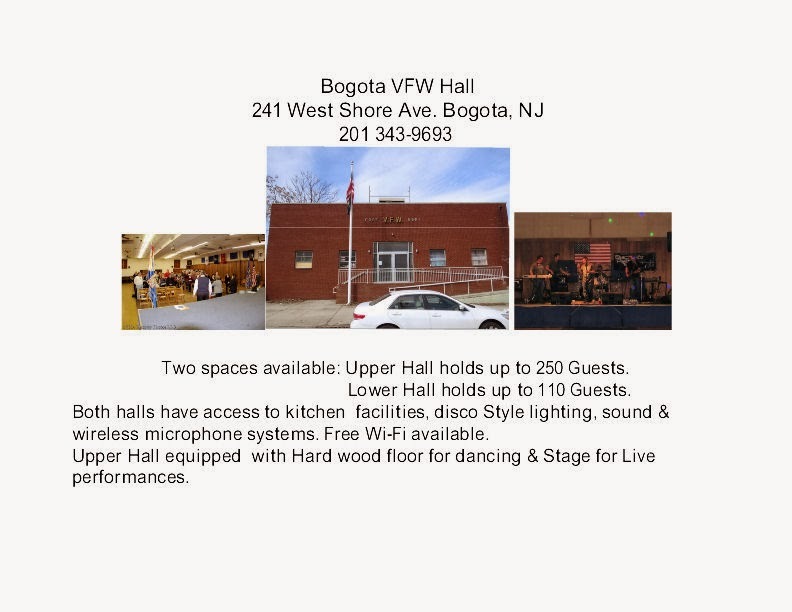 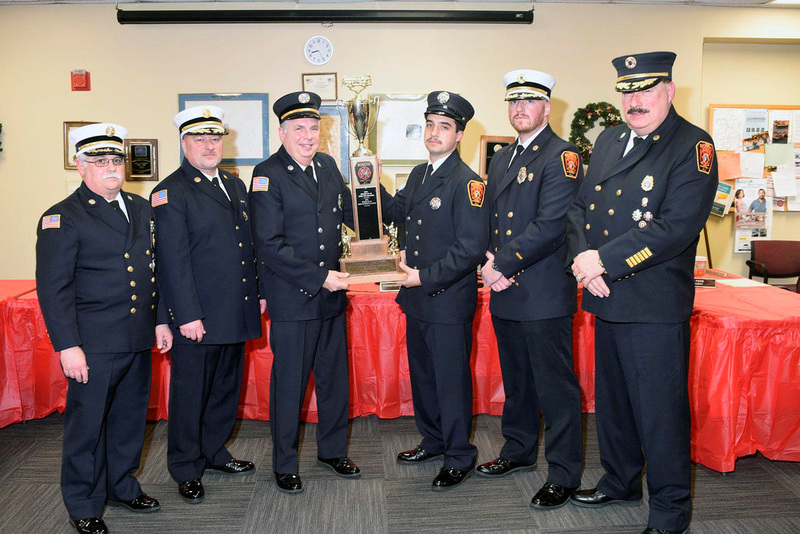 On Saturday-1-December The Bogota Volunteer Fire Department held their annual Chief Election. 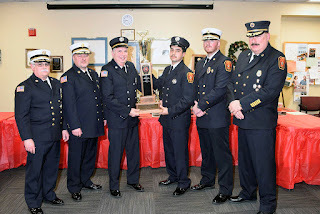 At the start of the meeting the Chiefs and other Department heads gave a summary for the year 2018. 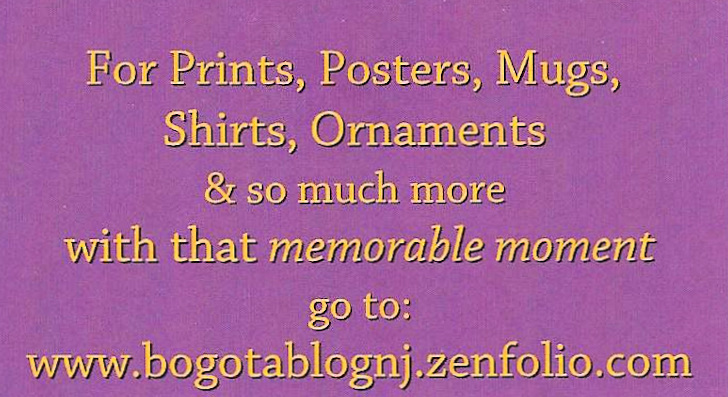 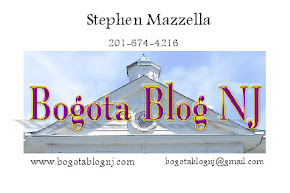 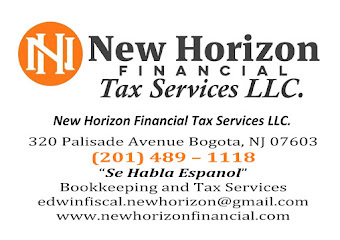 They explained the incidents in the Borough of Bogota they responded. 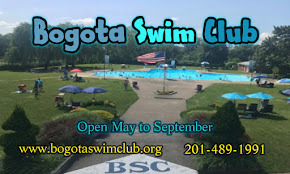 Adding the incidents with The Bogota Volunteer Fire Department was called upon to assist other area Fire Departments. 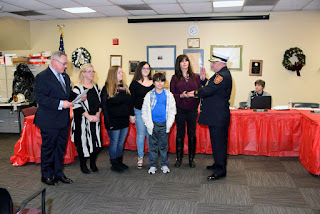 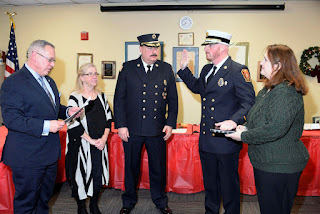 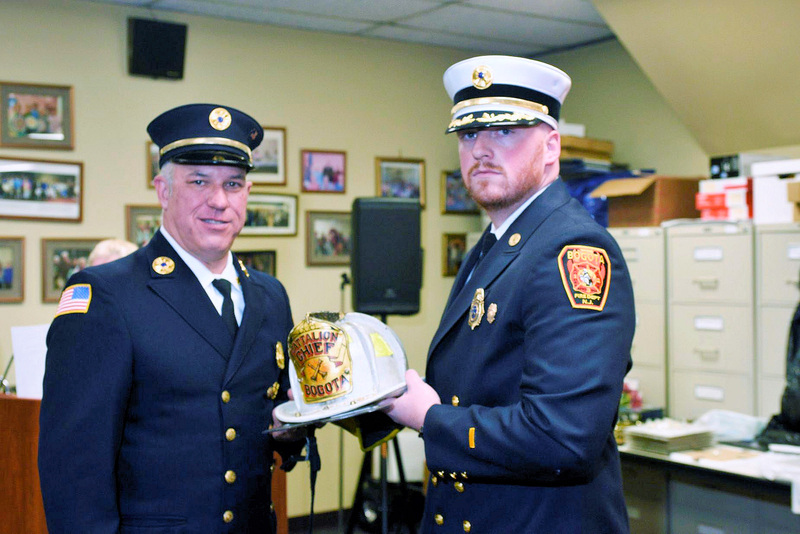 Next was the appointment of Assistant Chief Alex Breuss to Chief for 2018 replacing Tony Culmome This will be officer Breuss , of Hose Company #2, first time as Chief for the Bogota Fire Dept. 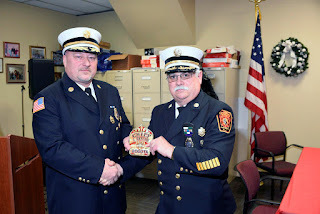 John Greiner was elevated to Assist Chief. 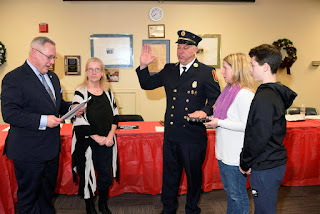 And Ken Kalman was voted in by his Company to be the new Battalion Chief. 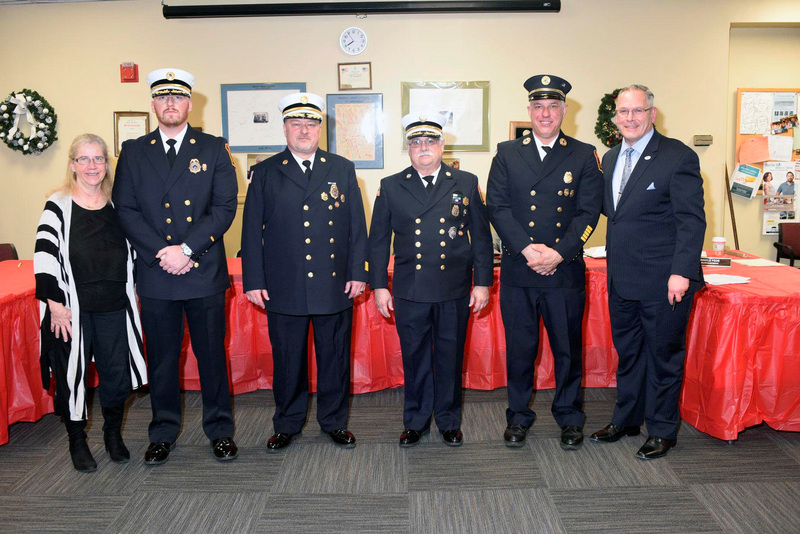 Then all three chiefs received their new badges and worn sworn into office by Bogota Mayor Chris Kelemen. 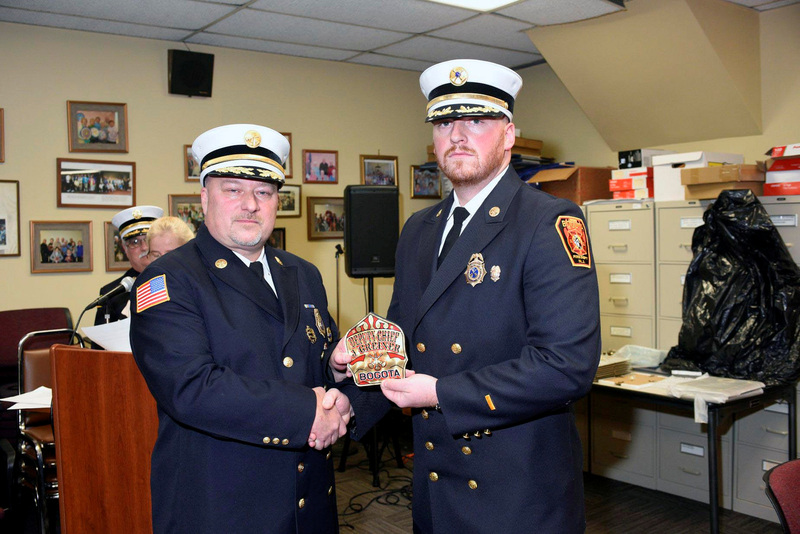 Battalion Chief John Greiner, Captains William Hordern & Michael Krynicki, Lieutenants Jose Cobles, Michael Englehardt & Adam Schaefer, and Firefighters Joseph DiMauro Sr. Gordon Kohles & Steve Westerve all received Unit Citations for their work done as a member of the Bogota Volunteer Fire Dept. 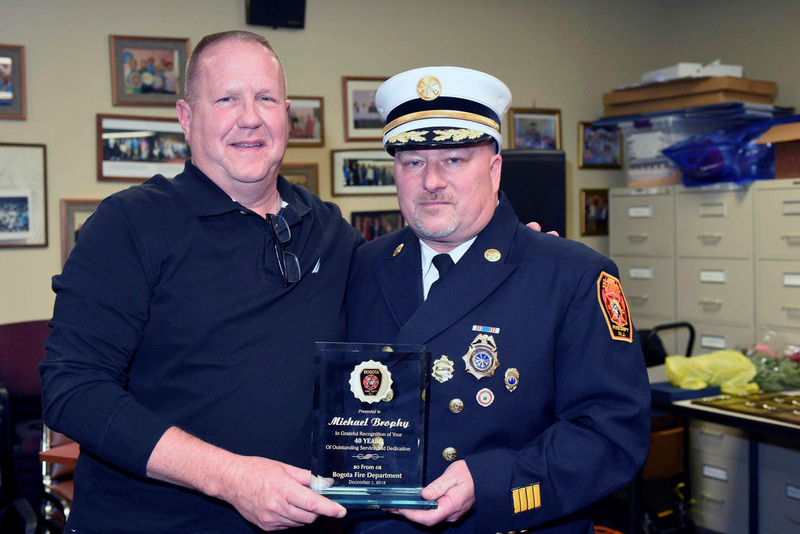 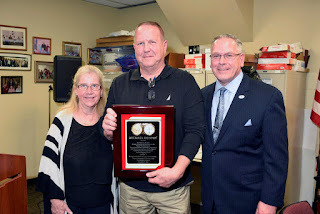 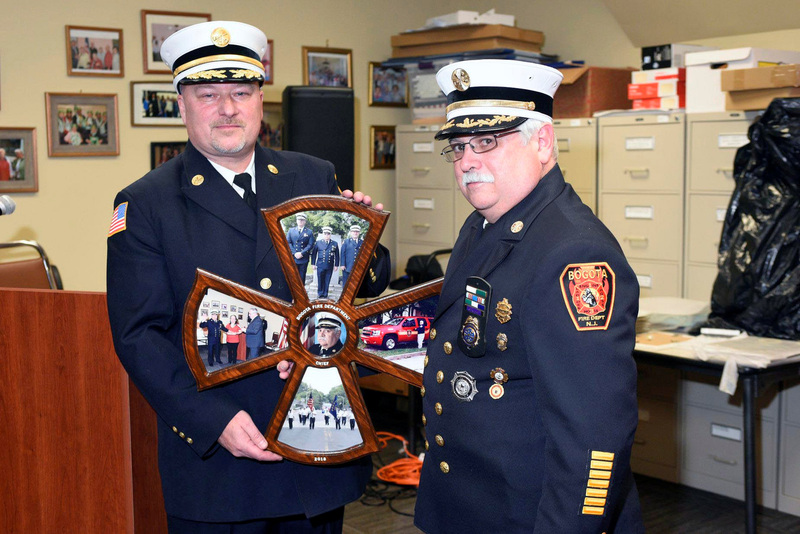 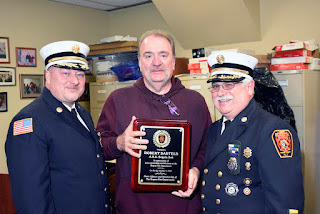 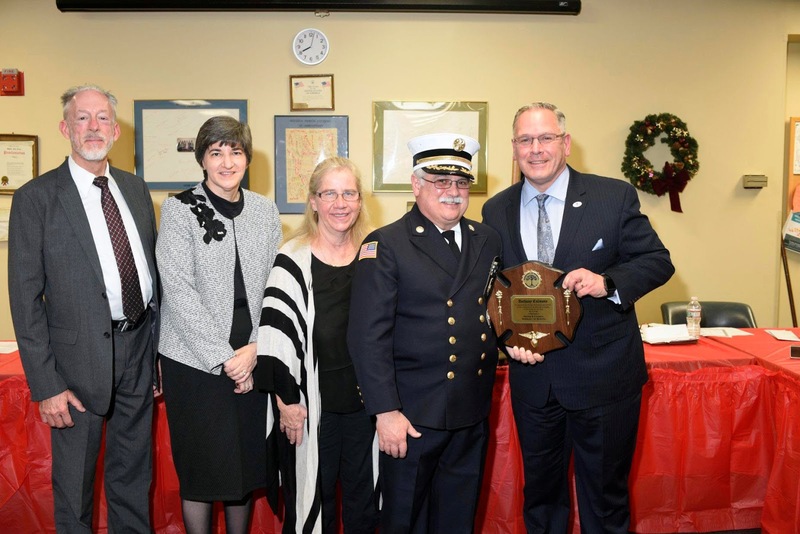 Former Fire Chief Michael Brophy was recognized at his retirement from the fire department for his 40 years of service by the Bogota Volunteer Fire Dept. He was presented with a proclamation from Congressman Josh.Gottheimer and plaques from the Mayor and Council. 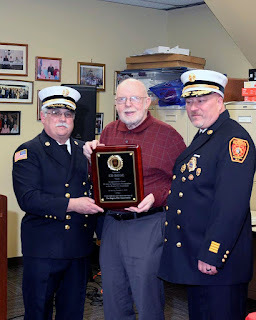 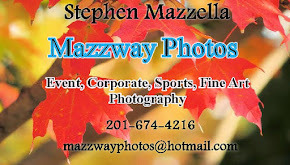 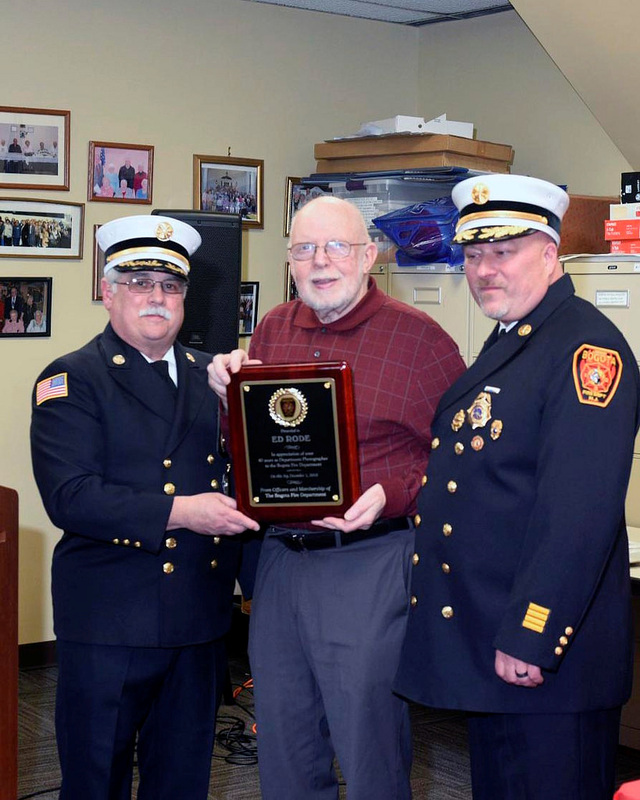 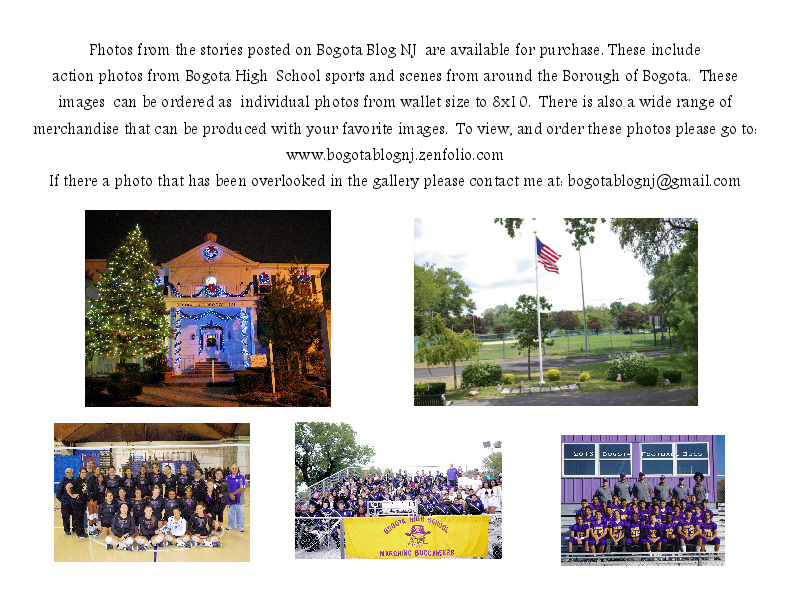 Ed Rode was also recognized as being the Fire Department Photographer for 40 years. 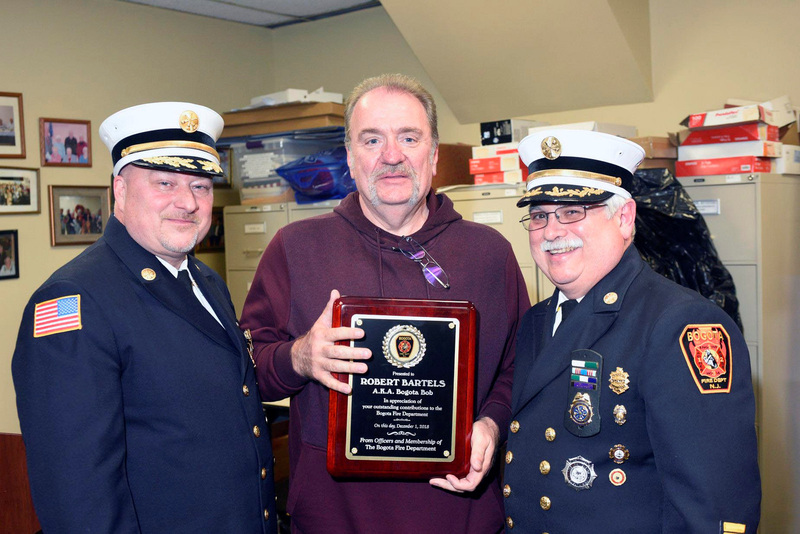 Robert Bartels was also honoured in appreciation of his donation for repainting the Chief's vehicle by Bogota Auto Body. 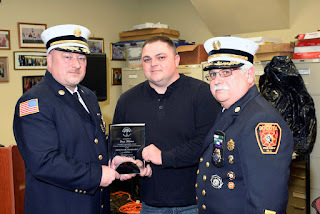 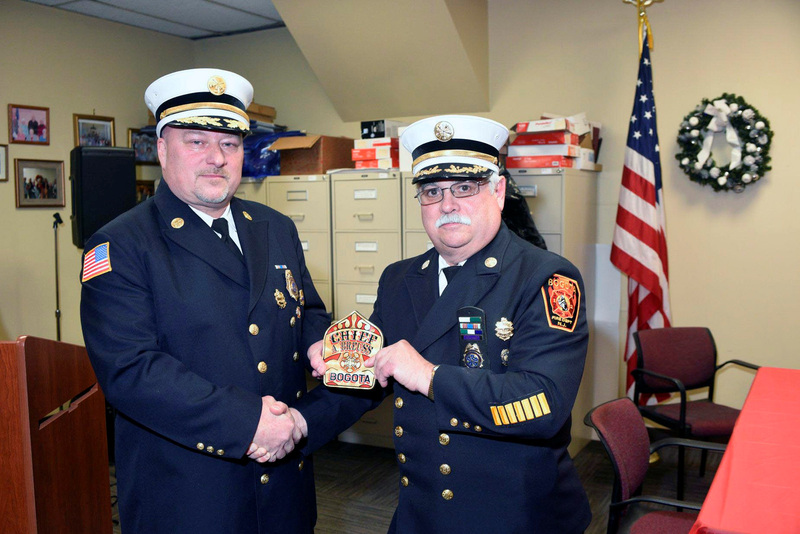 Chief Tony Culmome announced that the Company of the year was presented to Hose Company #3 Finally Chief Culmome was awarded a photo mural in the form of the Maltese Cross created by Ed Rode.